I wonder what this is going to sound like... but I'm excited to find out. Pretty big news for some of us. it will sound like what the crash that took me wanted to sound like, ha! i'm not excited till it happens and i like it. did coachella need a headliner? wanz should form a my bloody valentine cover band. Man, rumors of this have been going around consistently since 1995. Let's hope this one is credible. 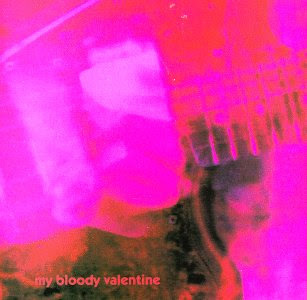 I have been planning MBV tribute for awhile. Was thinking about doing it for New Year's. I may back off If they are really gonna get back together. One of my alltime favorite bands, but I'm sure that is pretty obvious. This pretty much equal to the second coming of christ in my book. In other news I am looking for a bassist for The Frenz for anyone that may be interested. Daniel Huffman will be coming back to the fold after The Polyphonic tour. If we do Loveless from start to finsh for New Year's it will be with this band. Like that old joke, where Shields tells Corgan "What an amazing coincidence! Because all this time *we've* been striving to match the perfection of "Siamese Dream!" And then Corgan awakes to find his pajamas crusted with Gish . . .
She didn't sell all that many tea cozies. But she purchased a 10-year claim to www.GOOGE.com. Which is inadvertently visited by *hundreds of thousands* of impaired or just clumsy web searchers every day. The click-through traffic grinding out fractions of a shilling, millions of times a month, into towering piles. Wanz ... whoz gonna be Bilinda? I have a female in mind. Hush hush on line up until we actually get it figured out. IF we do it at all. It will be a one off show doing all of Loveless and about half of Lazer Guided Melodies. Space rock nerd fest. biggest news in my musical universe....not many bands can pull off the "years later...." bit, but oh my god i hope they do....it'll crush everything.